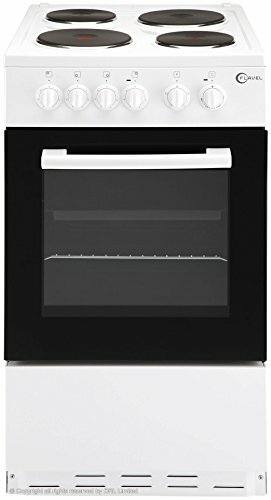 The Flavel FSBE50W Single Cavity Electric Cooker offers up to 51 litres of cooking space in the main compartment including a grill, ideal for single living. This model has also been A rated for its energy efficiency, making it beneficial to your energy usage and running costs. There is a glass window in the cooker door as well, meaning that you will not be losing any heat during the cooking process. There are 4 cooking zones on the FSBE50W, offering plenty of flexibility. This cooker is easy to clean and has been coated with a smooth enamel interior which makes cleaning easier.